My Review of 100 Days of Real Food On a Budget + Oatmeal Cookie Energy Bites! Today I am so happy to share with you that one of my absolute favorite bloggers, Lisa Leake, has come out with her newest cookbook, 100 Days of Real Food on a Budget. Lisa is such an inspiration to me and so many others, and as I have shared before, she is the perfect role model for the real food community and I am so lucky to have the opportunity to be one of her cookbook ambassadors! She is so passionate about spreading her love of real food and showing others how easy and delicious it can be, which is amazing. Congratulations, Lisa! Real food can seem expensive, but with Lisa’s new book, you can easily navigate any grocery store to choose the best options for you without breaking the bank. Each recipe in her book is just $15 or less to make and there are $100 weekly dinner meal plans for each season included as well. Not to mention, there are helpful resources in her book such as a supermarket price comparison chart, packed lunch ideas for both kids and adults (my personal favorite), and general tips for buying real food on a budget. Her recipes are made up of blog favorites and new additions that you will love making, many of which can be made gluten-free, dairy-free, vegetarian, and/or nut-free. There’s truly something for everyone in this incredibly creative and practical cookbook and guide to real food! 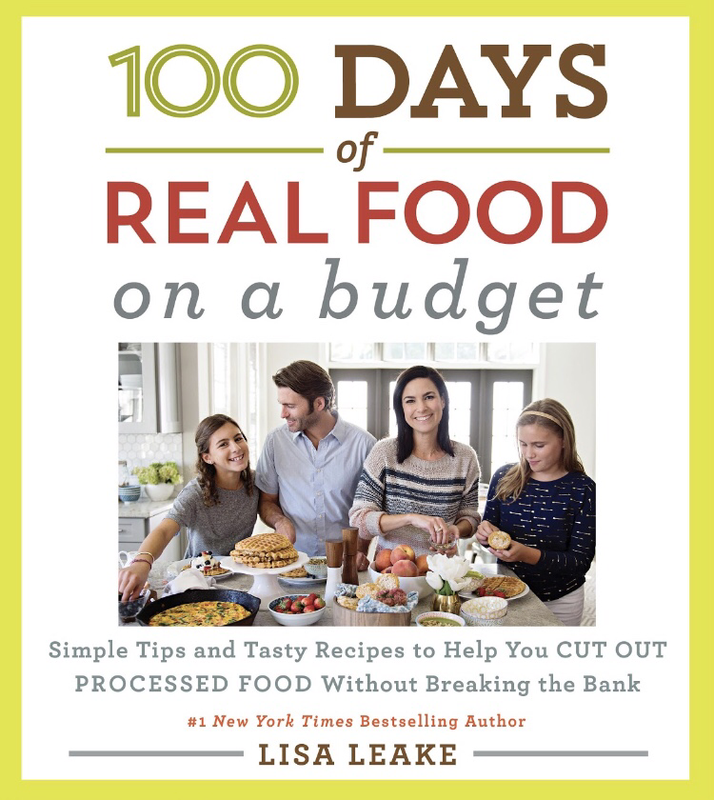 100 Days of Real Food on a Budget is available to order today, August 14th, so go pick up your copy and get cooking! 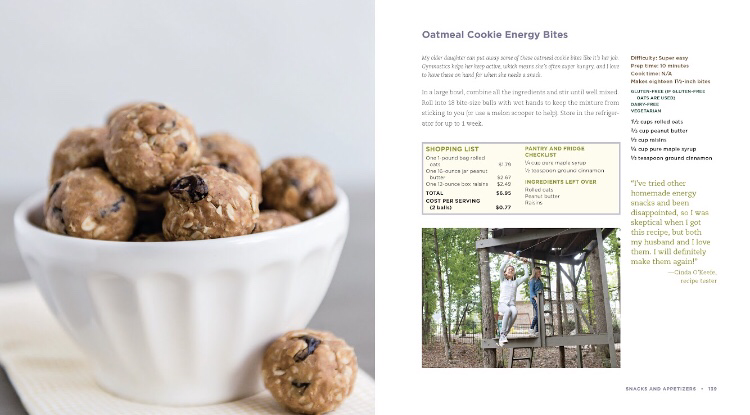 In the meantime, I am going to share with you one of my favorite recipes in Lisa’s new book, the Oatmeal Cookie Energy Bites. You all know that I’m a huge fan of fast, easy, delicious snacks on the go and these bites are perfect for the end of summer and back to school! So, enjoy this recipe and the many others you will receive if (when!) you order Lisa’s newest book, and please don’t forget to share your glowing reviews of 100 Days of Real Food on a Budget with others. 🙂 Thanks foodies, stay tuned for more great recipes and tips coming soon!